Among small cars, the Mazda 3 has a long-standing reputation for good value, including fuel efficiency and high safety and reliability ratings. It has often out-ranked its competitors including the Chevrolet Cruze, Honda Civic, Ford Focus, Subaru Impreza, Toyota Corolla and Volkswagen Jetta. A redesigned exterior which has been described as “a new level of elegance to the appearance and proportions of both the sedan and hatchback” by Kelley Blue Book. The Mazda Skyactiv architecture brings improved safety in crashes and better aerodynamics. A restyled interior including more comfortable seats and higher quality materials. Touchscreen technology and a top multimedia system (Mazda Connect) are now available as options. Edmunds.com's reviewer called the dashboard “intuitive, driver-oriented.” All this adds up to a cabin described as among the best in its class of vehicles. Improved fuel economy, bringing in 28 miles per gallon in city driving and 39 miles per gallon on the highway. Consumer Reports review points out this is better than any other new compacts or subcompact car. 2) Even more safety features. Also available is a lane-departure warning system, and two systems unique to Mazda and stand-outs in the compact class of cars:Radar Cruise Control & Forward Obstruction Warning and Smart City Brake Support Smart City Brake Support. The Smart City Brake Support stops the can brake the car to a stop in the event the driver is not reacting to an imminent collision. 3) Interior features. Keyless entry, push-button start and a telescoping steering wheel are standard. Bluetooth phone/audio in all but the most basic model (navigation system). In the higher trim levels, there are leatherette seats, heated front seats and leather-wrapped steering wheel and gear shift available. 4) Mazda Connect technology. Mazda Connect is a one-button multimedia system which works with a touch-screen and is similar to systems found in BMWs and Audis. The system brings in many smartphone functions,such as music streaming and voice activation, and the navigation features three-dimensional map views. 5) Top of the class. The 2014 Mazda 3 was ranked as the most affordable small car by U.S. News & World Report, out of 40 contenders. 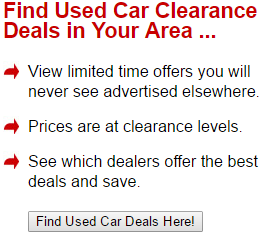 Their ranking is based on test drives, reviews from other sources and also safety and reliability data. 7) Reliability. The Mazda 3 has a well-earned reputation for reliability, receiving the highest rating from Consumer Reports from 2010 through 2013. In addition, there are a number of elements in the redesign which are shared with other Mazda models, most notably the Mazda 6. This is a strong predictor both for trouble-free owning and solid resale value, as are the numerous accolades it has received. 8) Easy to be green. The Mazda 3’s outstanding gas mileage means it has the distinction of having top fuel efficiency in its class without being a diesel or hybrid. The 2.0 liter base engine brings in 30 miles per gallon in city driving and 41 miles per gallon on the highway. The 2.5 higher-end engine (both engines have four cylinders) has a miles per gallon rating of 28 in the city and 39 on the highway, according to EPA tests. Those drivers seeking to conserve even more fuel can opt for the i-ELOOP system. This “intelligent energy system” uses capacitors to capture excess energy from braking or decelerating. That energy is then used to power accessories. 9) Fun to drive. Either the standard or automatic transmissions have six speeds and feature good acceleration. The 184 horsepower of the 2.5 liter engine is the same as what’s available in the Mazda 6 and CX-5 models. The standard transmission is available at all trim levels for those who prefer the interaction of the clutch and stick. The handling offers responsive steering and the ability to corner smoothly. “If you don't enjoy driving the Mazda 3, you're doing something wrong,” stated the Popular Mechanics review. 10) Other accolades. 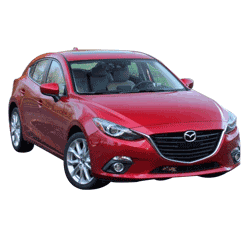 The Mazda 3 was named one of Car and Driver 10Best, and Kelley Blue Book’s 10 Best Sedans Under $25,000 for 2014. Road & Track named it Economy Car of the Year and the Insurance Institute for Highway Safety listed the Mazda 3 among its 2014 Top Safety picks. 1) There’s already a recall. A malfunction in the power control module which may occur under wet conditions could result in a stalled engine or loss of power steering assist. Mazda dealers are already offering the fix: reprogramming the power control module. The issue also affects the 2014-2015 Mazda 6 model. 2) Interior noise. Although some redesigns steps successfully reduced noise, several reviewers still list this as an issue for the Mazda 3. 4) Limited interior and cargo space. Despite the added space in the back seat, competitors like the Toyota Corolla still have a larger back seat. And the Chevrolet Cruze has more trunk space. The Mazda 3 is the best-seller in the Mazda lineup. For 2014, the Mazda 3 underwent an exterior and interior redesign. This resulted in a much-better-than-average base model as well as impressive options and features in higher trim levels. This redesign only adds to the successful formula the Mazda 3 historically has owned, combining the best elements of efficiency and performance.